The impact of cancer is still enormous, despite much progress in recent years. Each year, more than 65 thousand Belgians still hear the words “you have cancer” . 1 in 3 men and 1 in 4 women get diagnosed with cancer before the age of 75. In 2015, more than 28 thousand Belgians died from cancer, making it the second largest cause of premature death in Belgium. That is why on the 4th of February, World Cancer Day aims to raise awareness of the disease. We are hopeful for the future. At Janssen, we want to make cancer a manageable, even curable condition. We focus our efforts on the cancer types and sub-types that we have the most scientific knowledge of, and for which only a few treatment options are available. There are for instance more than 140 types of blood cancer, many of which still without effective treatment. Prostate cancer still presents us with major challenges as well. It is the most common type of cancer among men, but often only detected when metastasis lead to complications. 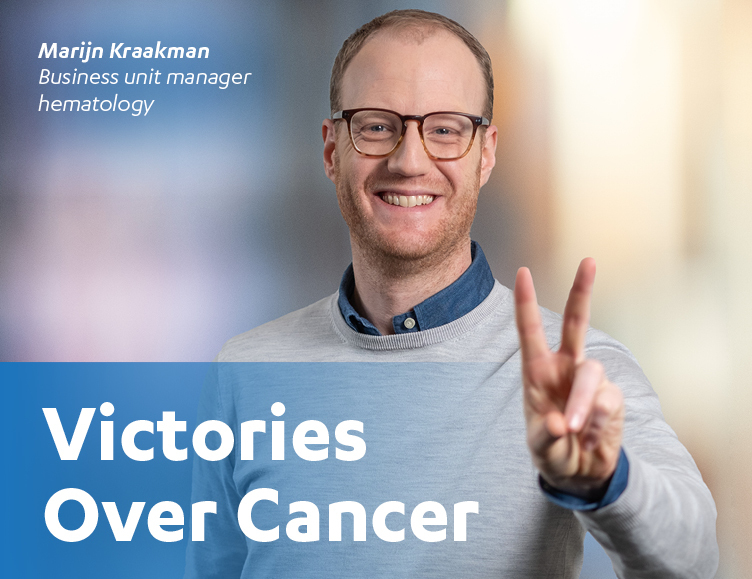 The high incidence of bladder cancer and the prospects of patients with lung cancer also continue to motivate us in our mission: scoring Victories Over Cancer. Big or small, every victory brings us a step closer to a cure. Our mission to effectively manage, or even cure cancer, takes time. Until then, we want to support those living with cancer in their daily lives. A patient diagnosed with cancer may feel overwhelmed and uncertain of what lies ahead. But the patient can still have a future thanks to the progress made in recent years. We therefore want to enable everyday victories, both big and small. We want to achieve this by supporting impactful initiatives and by sharing information about the disease with the general public. In light of this, we have worked together with the lymphoma patient organisation ‘Lymfklierkanker Vereniging Vlaanderen VZW’, to develop the brochure ‘Leven met lymfeklierkanker’ (living with lymphoma). The brochure helps patients and their families and/or beloved ones to better understand lymphoma. Written in the perspective of those involved, the brochure combines scientific information with personal stories and testimonials. Furthermore, we engage with patients to gain a better understanding of their disease perception. We do this with a ‘Patient experience’ workshop, for which we invite patients and healthcare professionals. Together we outline a clear image of the course of the disease, allowing us to look for specific opportunities to improve their care. 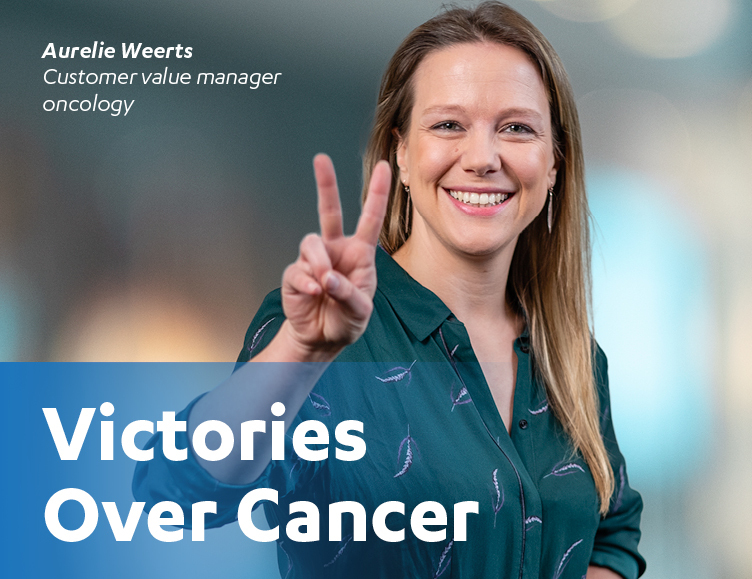 This is how we contribute to everyday victories over cancer. Fortunately, our efforts have not been without results. Six innovative treatments became available for patients in the last seven years. These fantastic results make us proud, but we’re not there yet. We now focus on tailored treatments, so that we can get the right medicine to the right patient at the right time. We therefore take into account differences in genes, environment and lifestyle. Tailored to individual patients, because the more precise we are, the more often we can overcome cancer. Data from everyday life are of great importance to show the effectivity of our medicines. A better understanding of the course of different types of cancer and the effect of treatments, allow us to invest in the most effective treatment for each patient. That is why we are proud to have joined the Haematology Outcomes Network in EURope (HONEUR). In this network, participating haematology centres share Real World Data, i.e. data from everyday life, in order to better understand haematological malignancies. The 4th of February marks World Cancer Day since the beginning of this century. 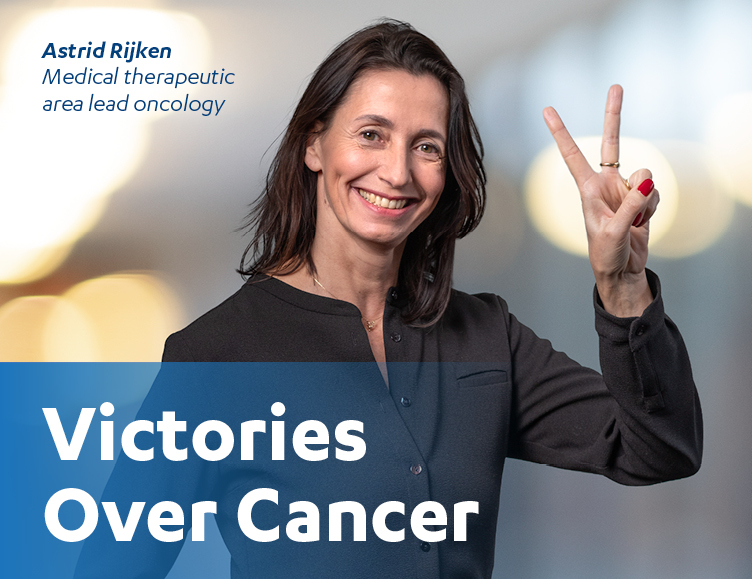 On this occasion, we will share our Victories Over Cancer on social media, and we’re especially interested in yours as well. Will you join the conversation? Share your story and use #VictoriesOverCancer.